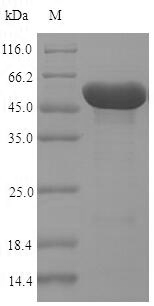 Special Offer: The E. coli host-expressed protein is manufactured from a stock plasmid containing the protein gene. E. coli host-expressed protein is stocked in different unit sizes ranging from as small as 10 ug to as large as 1 mg. Bulk inventory is also available. The E. coli host-expressed protein has been ordered over and over again by researchers and has stood the test of time as both a robust protein and important target for the research community. It is part of our new program to make our most popular protein targets and corresponding hosts available in expanded unit sizes and with a quick processing time. Select E. coli host-expressed protein for the fastest delivery among all hosts. Please contact us or email to support@mybiosource.com for more details. Small volumes of ampC recombinant protein vial(s) may occasionally become entrapped in the seal of the product vial during shipment and storage. If necessary, briefly centrifuge the vial on a tabletop centrifuge to dislodge any liquid in the container`s cap. Certain products may require to ship with dry ice and additional dry ice fee may apply. NCBI/Uniprot data below describe general gene information for ampC. It may not necessarily be applicable to this product. 1. Overexpression of the ampC gene was observed in carbapenem-resistant P. aeruginosa isolates, but no carbapenem-susceptible isolates overexpressed the ampC gene.